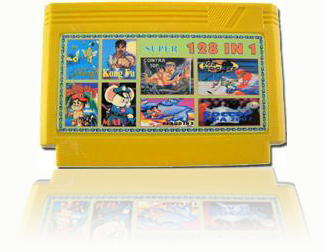 128 non-repeat games are jam packed with classic arcade style games into a single game cartridge. You can use this cartridge on any Power Player or system with an 8-bit game slot. Compatible with Power Player 76000/12000/128/ AND Wireless111.